LATEST NEWS! - GUAMOLOGY INC.
A book signing is scheduled at the Guam Museum on Friday, 6 July 2018 starting at 5 p.m. Illustrator, Judy Selk Flores and Publisher/Editor, Jillette Leon-Guerrero will be on hand to sign copies of the book. Those who purchased the book prior to the award can get a gold medal seal for their copy at the same time. Additional books will also be available for purchase. 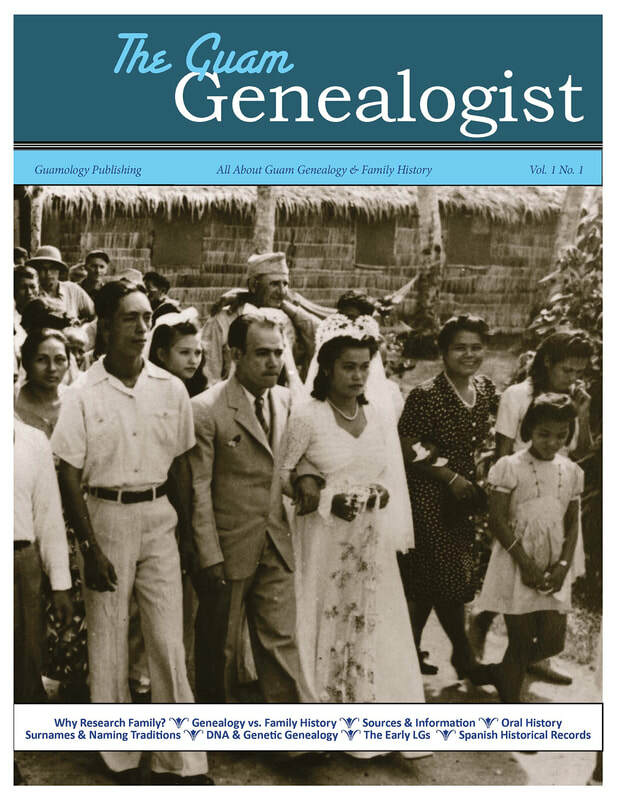 In addition, copies of the first two issues of The Guam Genealogist, a periodical by Guamology Publishing will also be available for sale. A Year on the Island of Guam wins Gold Medal! 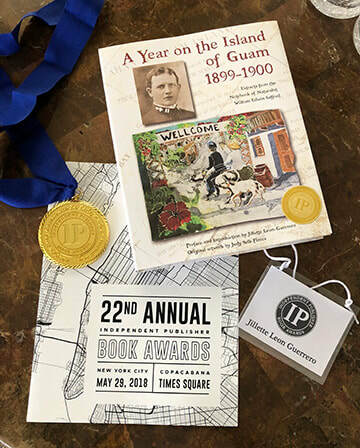 Guamology Publishing is pleased to announce that its latest book, A Year on the Island of Guam has won the Gold Medal for the Best non-fiction book for the Australia/New Zealand region at this year’s IPPY Awards. The Independent Publisher Book Awards, also known as the IPPY Awards, is an annual book awards contest conducted to honor the year's best independently published titles from around the world. The Awards were conceived in 1996 as a broad-based, unaffiliated awards program open to all members of the independent publishing industry, and are open to independent authors and publishers worldwide who produce books intended for an English speaking audience. The awards are intended to bring increased recognition to the thousands of exemplary independent, university, and self-published titles published each year. The IPPY Awards reward those who exhibit the courage, innovation, and creativity to bring about change in the world of publishing. Independent spirit and expertise comes from publishers of all sizes and budgets and books are judged with that in mind. Gold, silver and bronze medals are awarded to winners in national subject categories, regional categories, and e-book categories. Jillette Leon Guerrero, President of Guamology Publishing said, “We am honored to receive this award that we share with all of those who supported the creation and printing of this book. A lot of hard work went into its creation and without the supportive community of Guam, this wouldn’t have been possible. It is humbling to see Guam listed along with winners from 41 U.S. States, the District of Columbia, 6 Canadian provinces and 12 overseas countries. The book is available at the Guam Museum, Bestseller bookstores, Faith bookstore and online at http://www.guamologyinc.com/a-year-on-the-island-of-guam-1899-1900.html. For more information, contact Jillette Leon-Guerrero via email at jillette@guamology.com or by phone at 671 687-3167. 1. The Mariana Islands: Notes compiled by W.E. Safford. This is a valuable resource for researchers. 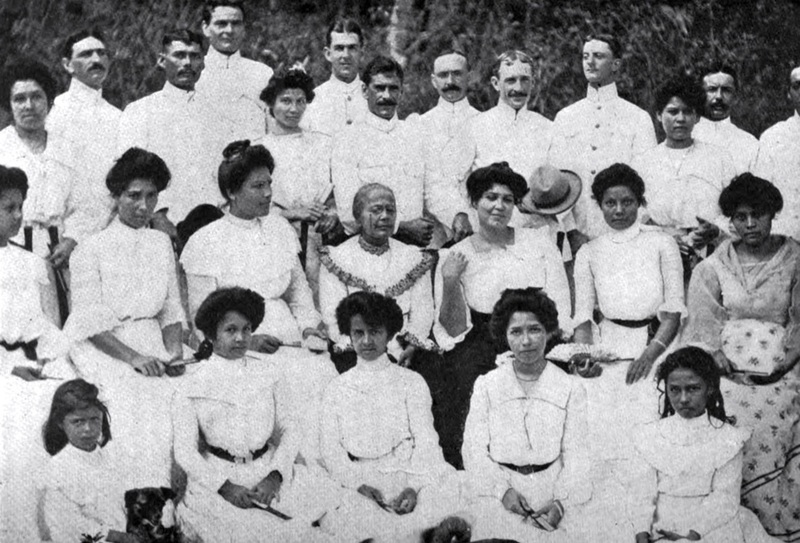 It has never been published and contains the notes that Safford took when reading through the Spanish archives that were in Agaña [Hagåtña] in 1899. These archives were sent to the Library of Congress in Washington D.C. where they sat until the Micronesian Area Research Center [MARC] was established. Marjorie Driver, the curator of the Spanish collection at MARC and one of the founders of MARC said that only a small portion of the original documents sent to the Library of Congress survived due to moisture and time. Safford, at the time he viewed them in 1899, said many of the documents were already deteriorating because of insects and climate. We plan to first transcribe his notes as written including his handwritten notes and make this available to researchers and students. We then plan to publish an edited hardbound version including annotations, and select images of the original documents. We are currently seeking funds for the transcription of the manuscript which is close to 500 pages long. 2. Tasting Guam Through Our Cuisine: A Culinary Journey Through Guam's History. This is the second in the "Guam Through Our..." series. The first book, "Seeing Guam Through Our Eyes: Prose, Poetry & Imagery Celebrating a Sense of Place," remains one of our best sellers. Our stock is now down to about 30 copies and we do not have plans to reprint. So we felt this would be a good time to publish our 2nd volume in the series. This book is envisioned to tell the story of Guam's history through our food. Starting in ancient Guam through the new trend for fusion foods. This book will also contain recipes of our most iconic dishes. We hope to fund this effort through a Kickstarter campaign. Borja, Cruz, Fejerang, Gogue, Leon Guerrero, Palomo, Pangelinan, Perez, Ramirez, Rojas, Taitano, Torres. Each of these line include other extended families as well. 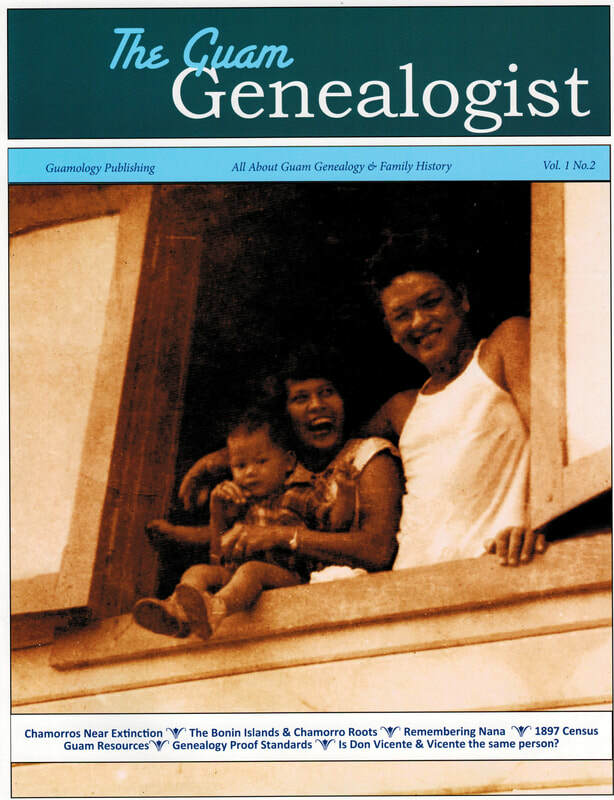 THE GUAM GENEALOGIST - ISSUES 1 & 2 AVAILABLE! A Year on the Island of Guam is a great gift! A Year on the Island of Guam trailer from Jillette Leon-Guerrero on Vimeo. WE ARE A SMALL PUBLISHING HOUSE THAT PUBLISHES BOOKS ABOUT GUAM AND HER PEOPLE. 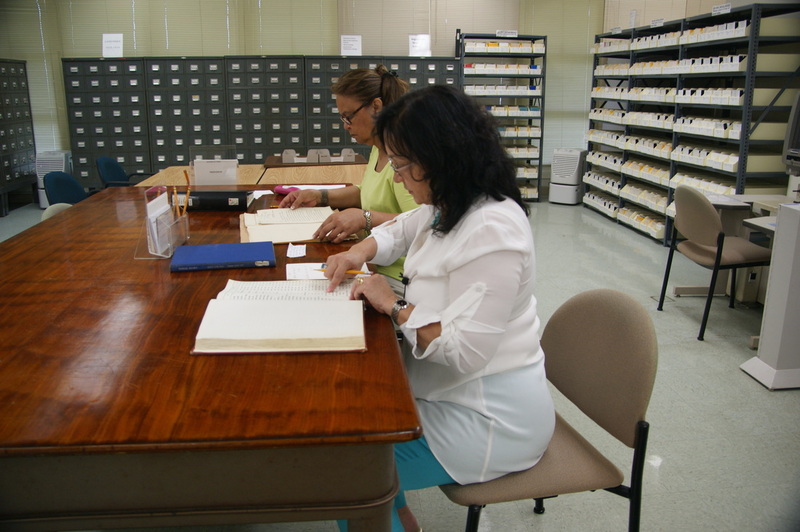 WE OFFER RESEARCH SERVICES IN A VARIETY OF AREAS SPECIALIZING IN HISTORY AND GENEALOGY. OUR TEAM HAS TAKEN ON A VARIETY OF SPECIAL PROJECTS RELATING TO GUAM. OUR NEWEST EBOOK PUBLICATIONS: THIS IS OUR FIRST FORAY INTO THE DIGITAL PUBLISHING WORLD. WE HOPE YOU WILL VISIT OUR ONLINE STORE TO PURCHASE AND DOWNLOAD OUR NEWEST ADDITIONS TO OUR LINE. MORE DIGITAL ITEMS ARE PLANNED TO BE RELEASED IN THE NEAR FUTURE IN ORDER TO BRING MORE PRODUCTS TO THOSE INTERESTED IN GUAM AND HER PEOPLE. AT LEFT, A SCENE FROM THE EARLY 1900'S. 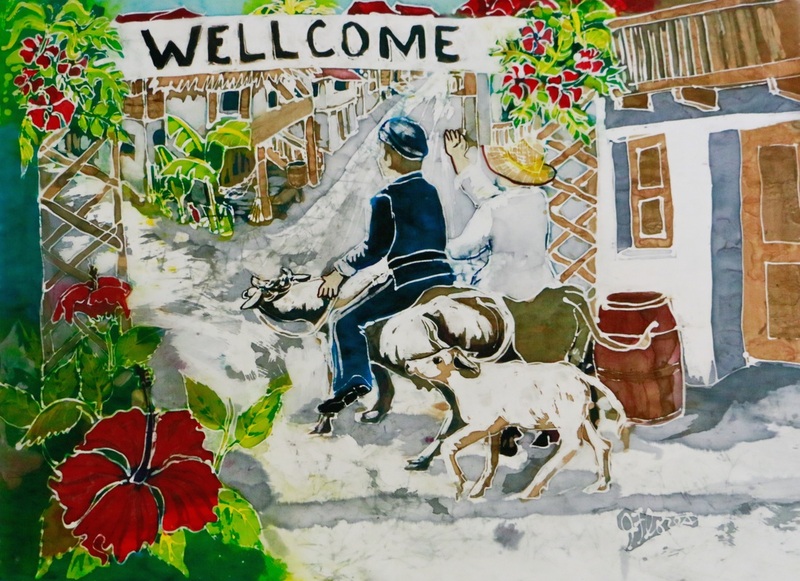 ABOVE, A SCENE DEPICTING THE FUNERAL OF EMILIA CASTRO ANDERSON BY JUDY SELK FLORES. BOTH FROM THE EBOOK "A YEAR ON THE ISLAND OF GUAM." FACE FAMILIAR IS A POETRY BOOK THAT IS AVAILABLE BOTH IN PRINT AND EBOOK FORMAT BY CARINA FEJERANG. THIS BOOK OF POEMS CHARTS THE COURSE OF A LIFE WHOSE BEGINNINGS WERE MIRED IN DOMESTIC VIOLENCE.